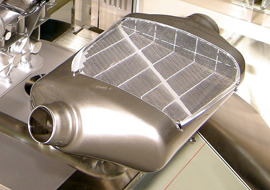 DPF Replacement – Remap-UK dealers can replace the DPF, normally at a fraction of the main dealer cost. DPF Recalibration – If you have had your DPF core removed, your Remap-UK dealer may be able to recalibrate your vehicles ECU to stop your engine going into limp-home mode and clear the DPF warning light. Consumers must be aware of the legal implications (as above) of this being carried out. The ideal DPF solution for you depends on your circumstances e.g. type & condition of your vehicle, your usage, your future plans i.e. whether you intend to keep or sell the vehicle etc and your budget. Manchester ECU Remapping and Diesel Tuning Specialists - We can safely tune your vehicles performance and get you more power, more torque and improved MPG by up to 30%! ECU Remapping has been around quite some time now and Manchester Remapping have been involved from the start, which is why we can offer the best advice on what you want from your vehicle! Find out why Manchester Remapping has more positive reviews on Google and our Facebook page than any other tuning company around! Call for a free quote we won't let you down!